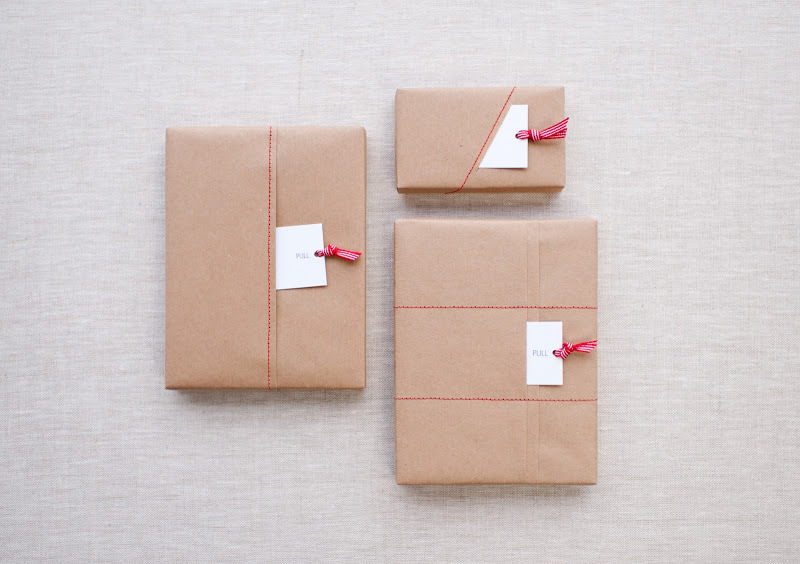 I love wrapping Christmas gifts with kraft or recycled paper. It may be cheap, simple and to some extent, even ugly, but using kraft paper is the best way to exercise one’s creativity. To make something so plain standout is a challenge I always like to take on. If you’re interested, here are some ideas to get you started. 1. 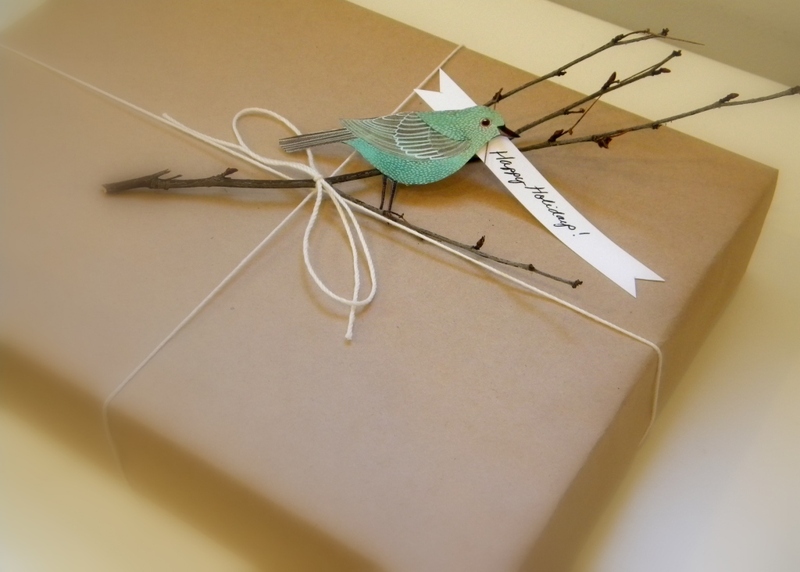 Add a touch of holiday green to your gift-wrap with a fresh leaf from your backyard. 2. Use red and white ribbons plus really cute gift tags if you want something more traditional. 3. Substituting butcher’s string for ribbons is also a very charming idea. 4. You can also add embellishments to make your gift extra special. This pretty bird and the tiny branch it’s perching on is just so adorable! 5. A simple sticker can be the perfect seal! 6. You can also add a little humor to your gift. 7. If you have a sewing machine, why not do a little stitching? 9. If you’re the artistic type, why not draw your own design onto the kraft paper using metallic markers? 10. And finally, if you’re tired of too many colors, you can always try the white on white approach. I love the first one with the leaves, so pretty and organic! Maybe I will get some butcher’s twine, I tend to like wrapping that looks more rustic. Hope you have a great holidays! Yeah, me too! Rustic is so much more charming. :) Happy holidays, too, Maura!